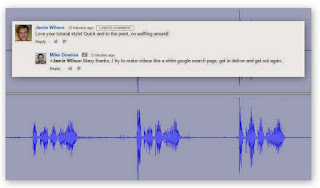 mike downes - we make videos to help people learn: Beamed by Satellite, some history and Why do Broadcasters still say it? Here's another one from last month, The Chelmsford Picture House has an exciting season of live screenings beamed by satellite in real time from the Bolshoi Ballet in Moscow... (Brentwood Gazette). The first satellite went up in space in 1960 with the Telstar satellite relaying the first television signal in 1962. This seemed to tick over quite nicely until something big happened in 1973. And by big I can only mean The King. As far as I can tell, it was the Aloha from Hawaii headlined by Elvis Presley. I've used the wiki slide to head this post as it's beautiful. 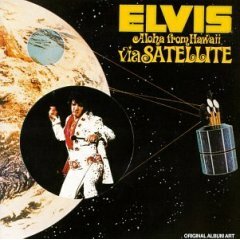 You have the Planet Earth, a Satellite and Elvis dressed in a white American eagle larger than life jumpsuit (14 January 1973). In the UK, Satellite TV started in 1988/1990 (I use two dates as the BSB/Sky competition was well documented, BSkyB). So here we are, 41 years on since Elvis gave the tickets away for free, but asked the people to pay what could afford. The Kui Lee Cancer Fund in Hawaii received $75,000. Beamed by Satellite is not the only cliché media folk roll out. Whenever you talk about Google, always say, search giant. There's even a tongue in cheek list at survivetvnewsjobs.com with 163 phrases. Even +BBC News has a list called, 20 of your most hated cliches (Nov 2008). I'm going to add the number one word that I cannot, like cannot, stand on earth - ping. I'm even angry with a burst of adrenalin typing it here. I bet The King never said it..
Refs from Wikipedia: Satellite Communications, Satellite Television. Other Refs: Celebrity Sentry, define ping.